Patrons of one of Houston's oldest parks were shocked to discover earlier this week that about an acre of trees and vegetation had been clear-cut out of the park. The area that was destroyed is directly behind a new development of townhouses. 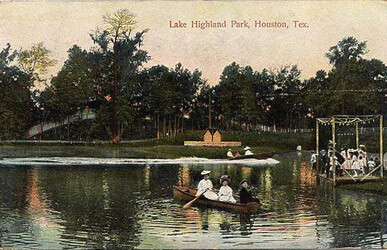 Woodland Park was created in 1903 and runs along Little White Oak Bayou in the Woodland Heights area. The part of the park that was clear-cut is behind a townhouse development at the corner of Houston Avenue and Wrightwood Street. Houston Councilmember Ed Gonzalez represents District H, which includes Woodland Park. As for what happened, it appears a contractor went too far. Bill Workman is the developer funding the townhouse project. One of the units will be his own personal home. He hired a contractor to grade the lots according to city permits. Workman says, unknown to him, the contractor graded not only his lots, but also the parkland behind them all the way down to the bayou. Workman is working with the city’s legal department to determine how extensive the damages are and what it will take to correct the damage. The contractor who removed the vegetation could be prosecuted.